Dubai: Al Ain Mall is adding more than 500,000 sq ft of retail space to its current premises, as well as a luxury hotel complex, in an expansion project that will add more than 200 retail outlets to the mall. The first phase of this expansion project, which is scheduled to open in October of this year, will add more than 130 retail outlets to the mall, as well as a variety of restaurants and play areas. The second phase, which should be completed by the end of 2012, will see the renovation of the mall's ground level and parking space, the addition of a hypermarket and department stores, and the opening of the five-star Jumeirah Al Ain Hotel. With both phases complete, Al Ain Mall will have over one million sq ft of retail space housing 423 shops. Al Ain Mall currently hosts about nine million visitors a year from around the UAE and neighbouring countries such as Oman, and it is predicted the expansion will draw even more. "We expect the number to be doubled," said Hana Abdullah, the mall's marketing executive. She added that the addition of the Jumeirah Al Ain Hotel, which will hold the city's largest spa and ballroom, is expected to be a major attraction in the city and will make the mall more appealing to tourists. She also said that Al Ain Mall is focused on attracting well-known high-end brands, which will broaden the mall's currently more family-oriented demographic. Such brands, which are both local and international, are what will allow it to stand out from the multitude of malls in the UAE, she added. Al Ain is known more for its natural beauty than its shopping potential, but she said that the expansion will make Al Ain Mall comparable to Dubai Mall, the largest in the world. Morhaf Kishi, Al Ain Mall's general manager, said that the added retail space was meeting the demands of both the mall's clients and outlets. "Al Ain city is growing really fast…but there are only three major malls," he said. Kishi also added Al Ain has the highest percentage of Emiratis in the UAE, many of whom are government employees and business people who receive high incomes. Such clientele creates increased demand for high-end retailers, who in turn want to expand their operations in Al Ain to meet that demand, he explained. 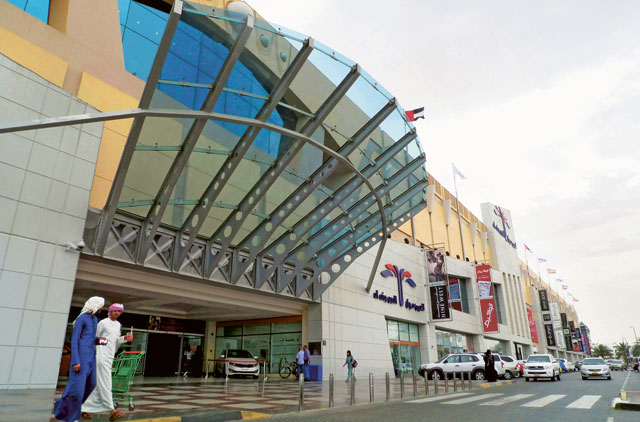 Al Ain Mall was Al Ain's first shopping mall. Carrefour opened its second hypermarket in Ras Al Khaimah Wenesday as part of the retailer's new initiative to expand its reach across the UAE. Located in Al Safeer Mall on Airport Road, the new hypermarket covers an area of 9,200 square metres, representing more than 31 per cent of the mall's leasable space, and offers customers a range of more than 25,000 products. Colin Beaton, Managing Director, Limelight Creative Services, explained that with the opening of second Carrefour hypermarket in Ras Al Khaimah, Carrefour had gained a strategic advantage amongst other major retailers in the region. "The decision to open branches in stores like Safeer Mall is a strategic move by Carrefour to expand their presence at the real estate level. Not only is Carrefour protecting its market share this way but it is also ensuring its customer loyalty base," said Beaton.